3.8 x 3.1 x 3.0 cm. 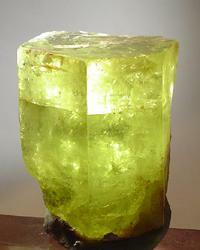 A classic, yellow-green heliodor crystal from Minas Gerais. 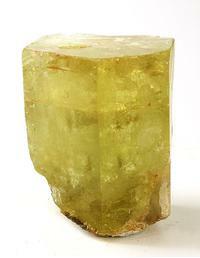 This crystal is very gemmy and lustrous and has textbook hexagonal crystal form. The main photo does not do the gemminess, lustre and color justice. The unretouched backlit photo gives some idea of the intense color, gemminess and lustre of this crystal. Weighs 47 grams.